Writing is an art form that involves a tedious amount of work, an imagination that pushes the bounds of everything known to the world, and a heck ton of inspiration and passion. As a college student I often find myself lost to the ways of inspiration considering how much I am bogged down by textbooks, lectures, and rhetorical paper (which are some awful things if you're a creative writing student like myself). And even when I am taking classes like beginning creative writing I still find myself writing in the folds of university standards and lacking inspiration for the writing I do outside of the school setting. So what should a 21-year-old English creative writing student like myself do to find a source of inspiration that really hits home and sticks with me for a long period of time? As I was sitting with this question roving around in my head during a lecture in British Literature I remembered back to October when an experiance almost brought me to tears because of the rush of inspiration and need to write enveloped me completely. One of my favorite authors Sarah J. Maas, writer of the Throne of Glass (TOG) series and the Court of Thorns and Roses (ACATOR) series, has just finished the fourth installment in her TOG series called Queen of Shadows and to say the least I was excited. I adored her writing and often found myself drawing ideas off of her. 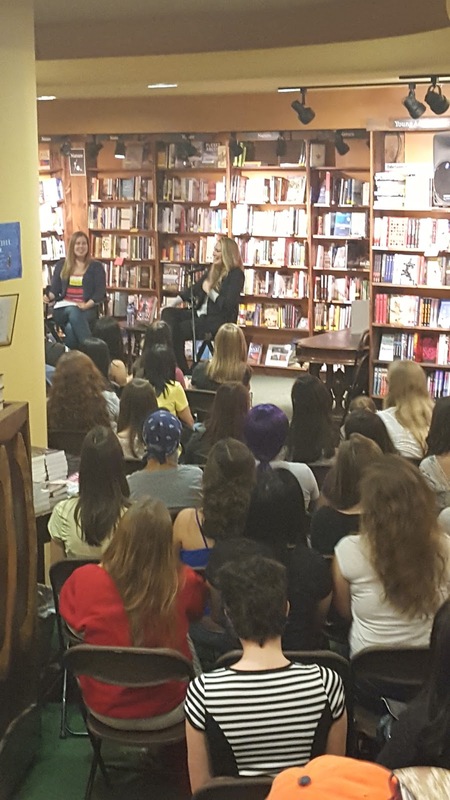 But, here's the kicker, not only was she publishing a new book she was going on tour and she was going to be in Denver at the tattered cover, which by the way never happens for the authors I highly enjoy. And once I figured that out, money (which usually went to Ramen and cat food) was instantly spent on tickets. 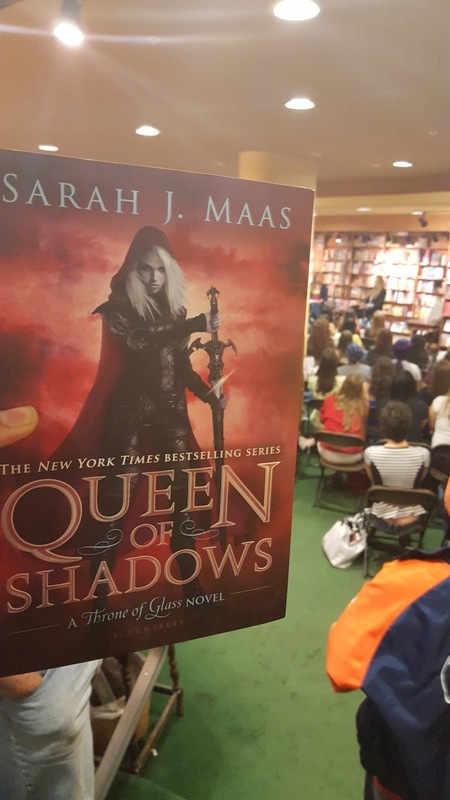 And on October 4th Sarah J. Maas was in Denver and I was there to see her and listen to her speak. She talked of many things, but what really stuck with me was her writing process and how she got started. Her writing started as Sailor Moon and Harry Potter cross over fanfiction, written and published on fanfiction websites. And she wrote these stories in college, when inspiration lacked and time was consumed by the college lifestyle. But what really mattered to her was that she was writing, she was honing her craft and getting better. She made time to enjoy her passion and put words on paper. To her, it didn't matter if her writing was ever read, what mattered was the process of putting words on paper. In that moment something pulled a heart string and I didn't feel like a college student at the time, instead I felt like a writer. A writer who had been inspired to push the bounds of school and find time to sit with my passion. To sit with words and let them fill me up. It did not matter where the inspiration was found, even if it was found through already written words, all that mattered was that it was found and honed. It did not matter that I was a college student scrabbling for the perfect piece of poetry or writing, what mattered was that I was writing because one day I could have written 2 popular book series' by the age of 26, just like Sarah. As writers we all find inspiration through many different things, but remember inspiration can be found in the simplest of things. It can be found through words spoken by another, the way the lake shines in the moonlight, or the lady at the grocery store who can't decide if she wants pineapples or pears. Excellent post, Laney. It's amazing how a few words from someone who's experienced our ups and downs and challenges can get us going again. I felt the same way after reading Elizabeth Gilbert's book about creativity, Big Magic. It flipped on that little light bulb that reminds us we can do it, no matter what "it" is. Well done Laney! I love the last paragraph and how you tied it all up. I especially love the reference to the lady who can't decide if she wants pineapple or pears. I found it quite funny and inspirational at the same time. Well said, Laney. The inspiration is everywhere. Often we have to get out of our way (and element) to let it find us. So cool you got to see one of your writing heroines. Stay inspired and keep writing. 26 isn't that far away! Great post, Laney! It's so important to learn from those we admire (we admire them for a reason)! Inspiration can be elusive and it usually strikes when we least expect it, but being open to it is a huge first step!